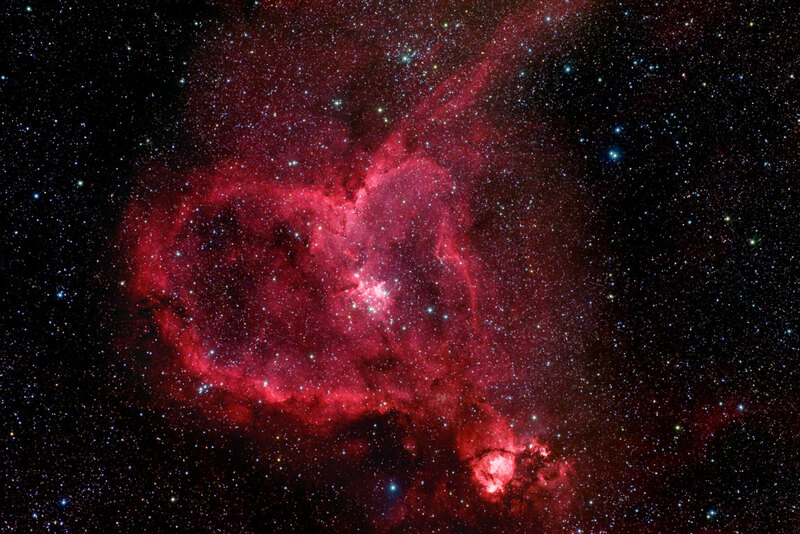 The Heart Nebula, IC 1805, lies some 7500 light years away from Earth. It is located in the Perseus arm of the Galaxy in the constellation Cassiopeia. This is an emission nebula showing glowing gas and darker dust lanes. This nebula is formed by plasma of ionized hydrogen (HII) and free electrons. The hydrogen has been ionized by ultraviolet radiation from young hot stars. The nebula thus exhibits a characteristic red spectral glow (represented in this monochrome image by white). 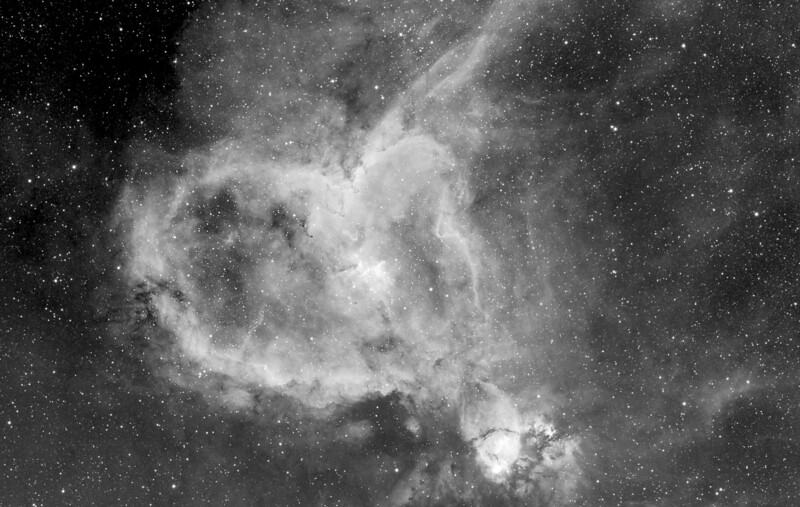 The image above was captured using a 6nm wide hydrogen-alpha filter centered at 656 nm. "Click On Image For Larger Size"